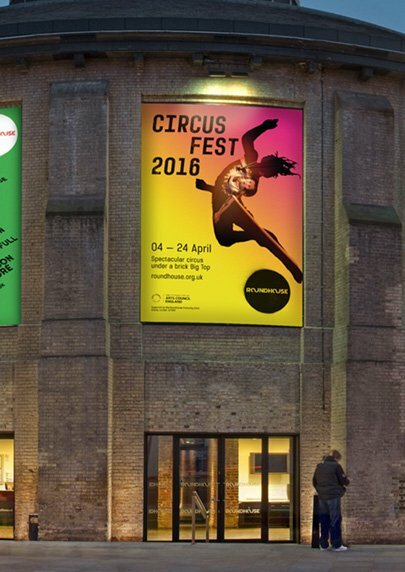 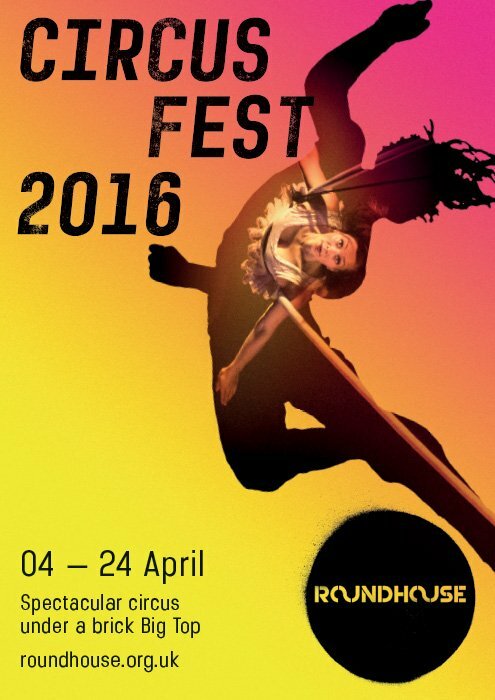 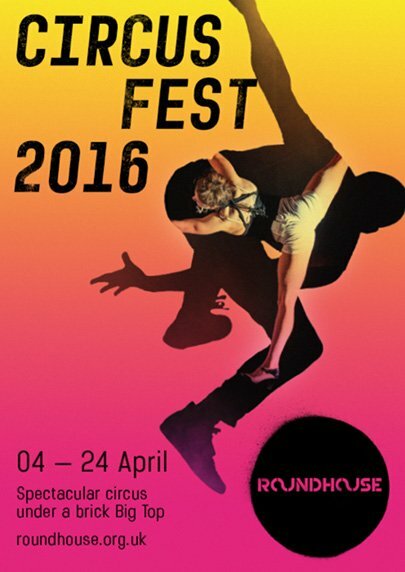 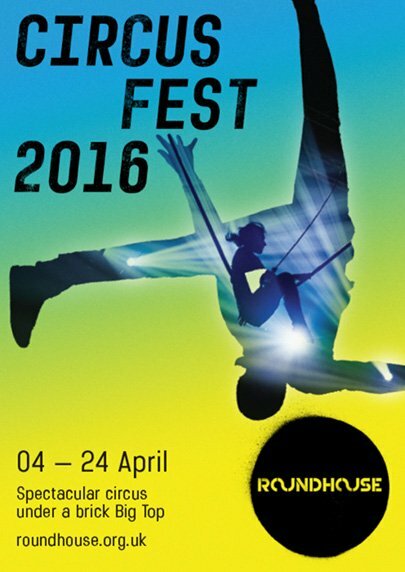 Circus Fest offers ‘spectacular circus under a brick big top’, that’s what it says on the posters. 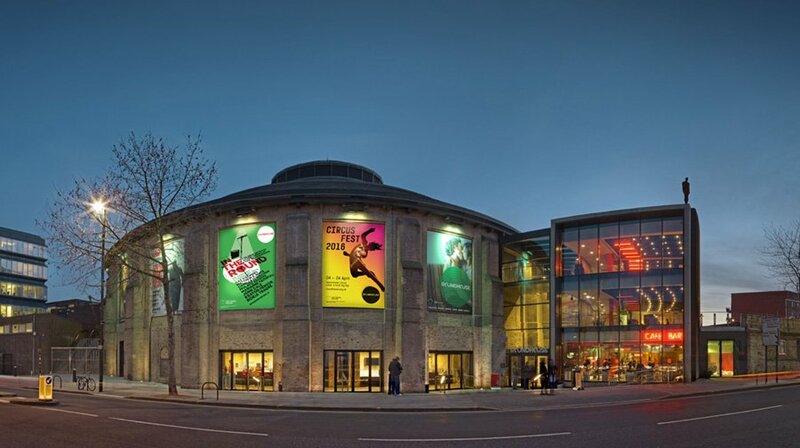 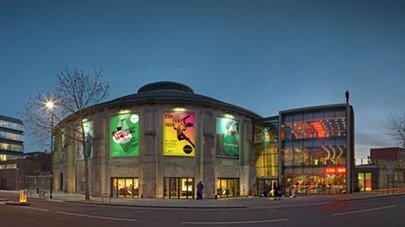 With circus enjoying something of a revival as an art form – daring acrobatics in particular, the Roundhouse is proving to be a great venue, purpose-built for this revival. 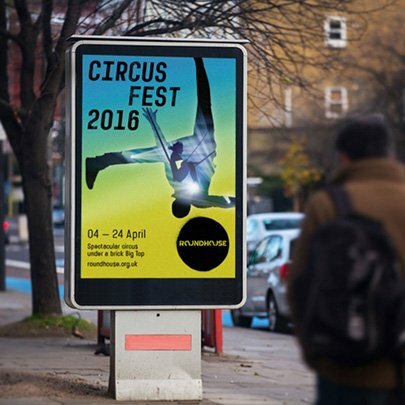 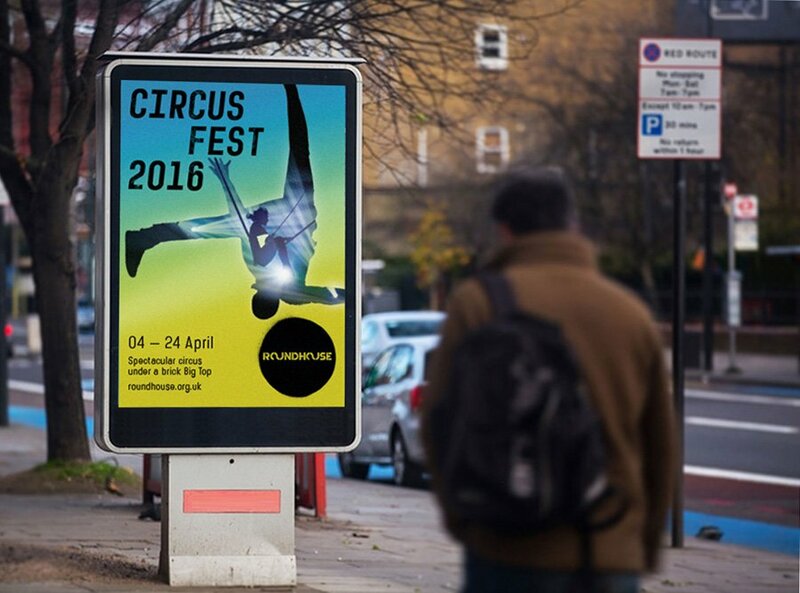 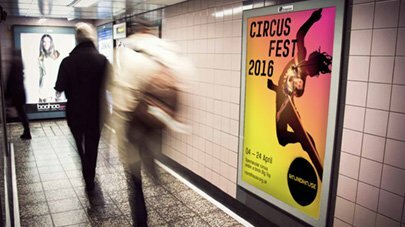 Intro designed an identity and promotional material for the 2016 series of events, that aims to capture the energy and dynamism of circus performance. Promotional materials included banners, posters, flyers, press and digital ads and a programme of events.